Deep in the forest, several thousand metres above sea level, was the last place I expected to be presented with a birthday cake, but there it was: huge, delicious looking and freshly made on the Inca Trail. I had just finished school and had decided to take some time off to travel around South America and improve my Spanish. Trekking the Inca Trail was high on my priority list and when I discovered that the only available trek took place over my birthday, I thought it would only make it all the more memorable. Challenging yet rewarding, the trail was already proving memorable from the many sore blisters on my feet and the constant pain in my knees. A keen trekker, I was used to long hikes but I had somehow managed to skip the part of the guidebook that warned of numerous stepped sections to the trail. The several ruins on the way to Machu Picchu came as a pleasant unexpected surprise, but the biggest surprise of them all was on my birthday. I had not told any of my fellow trekkers, the guides or porters that it was my birthday until the day and so I was utterly surprised when I was surrounded by them singing Happy Birthday. Everyone joined in, with the porters tentatively attempting their very best English before bursting into Spanish, singing enthusiastically and leaving me and my fellow trekkers bemused. They then presented me with a huge, elaborately decorated birthday cake. Covered in chocolate, sweets and cream and big enough to serve at least 30 people, I asked myself: how on earth did they manage to bake a cake out here? It was the second night on the trail and we were more than 3500 metres above sea level, high in the forest, surrounded by trees and with only a small two-ring gas stove for cooking other than the option of cooking in the ground. Surely they couldn’t have escaped to a town quickly; we were still two days walk from Machu Picchu and the nearest settlement. So, how did they cook it? And where did they find the ingredients? To this day it remains a mystery. I’ve met numerous people who have trekked the Inca Trail, but I’m yet to meet someone who doesn’t have a high regard for the porters or the service received from them. This however far surpassed anyone’s experience and any of my wildest expectations. Ready to book your own Peru trekking adventure? 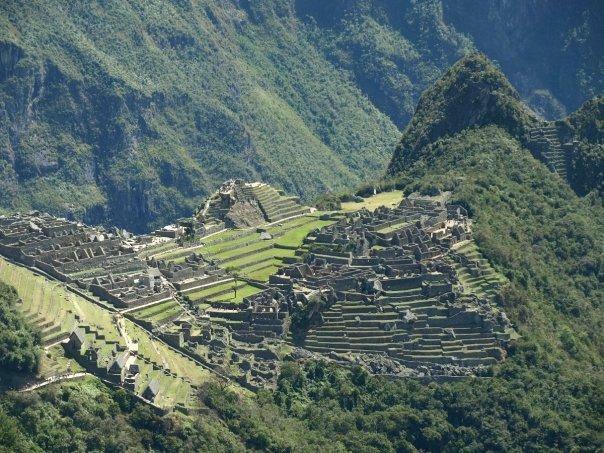 Contact this specialist in trips to Peru and ask about the various Inca Trail tour options.